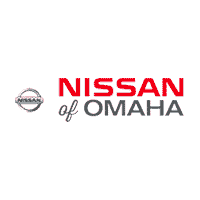 Extended Warranty: (7 year /100,000-mile Limited Warranty) The Nissan CPO warranty lasts 7 years from the original in-service date or 100,000 miles, whichever comes first. The warranty covers over 600 components including engine, transmission, and drivetrain. Additionally, the Nissan Security Plus Extended Protection Plan offers option coverage of 1300 additional components. Emergency Roadside Assistance: 24 hours a day and 7 days a week, Nissan Emergency Roadside Assistance provides flat tire change out with your good spare, dead batter jump or lockout assistance for the duration of the 7 year /100,000-mile limited warranty. Towing Assistance: Up to $100 towing assistance. If necessary, we will even tow your car to the nearest Nissan dealer with 250 miles. Certified Pre-Owned Limited Warranty: Ownership Transferability: The Nissan Certified Pre-Owned Warranty is transferable from the retail customer to one subsequent private owner. Trip Interruption Coverage: If a mechanical breakdown of a covered part takes place when you are more than 100 miles from home, you’ll be covered for up to $500 for meals, lodging, and alternative transportations. Sirius XM Free Trial: All Nissan CPO vehicles equipped with satellite radio will receive a free 3-month trial of Sirius XM. Hear over 140 channels of music, talk, and sports while you enjoy your new ride.